The most common symptoms of fibromyalgia include chronic muscle pain, trigger points (tender points), and chronic fatigue, as well as headaches, anxiety, insomnia, and digestive problems. Unfortunately, there is no cure for this painful condition so far, but there are effective ways to relieve its signs and symptoms. 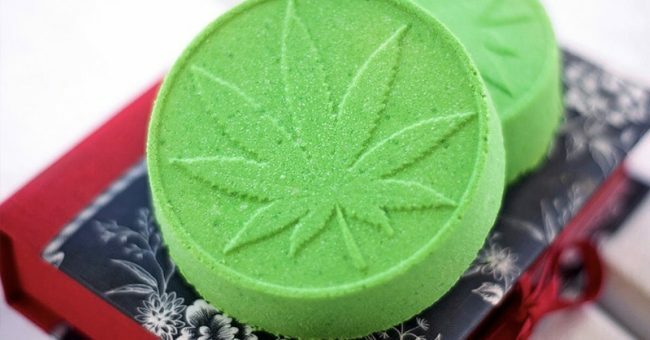 Apparently, fibromyalgia sufferers can benefit a lot from scented CBD bath bombs. CBD, or cannabidiol, is derived from the hemp plant. It offers a myriad of health benefits and does not produce any psychoactive effects. The findings of a study conducted on medical cannabis by Laura M. Borgelt, Kari Lanette Franson, and Abraham M. Nussbaum showed that it relieves pain and muscle aches. When it comes to its effects in the treatment of fibromyalgia, a 2017 paper published in Expert Opinion on Therapeutic Targets showed that CBD can be a potential way to reduce the activity of brain cells called glia, which cause central sensitization, which is the main characteristic of fibromyalgia and other central sensitivity syndromes like chronic fatigue syndrome, irritable bowel syndrome, and migraine. Fibromyalgia also involves endocannabinoid deficiency, which is the system that deals with the natural endocannabinoids in the body, as well as cannabis products that you may take in. Additionally ,another 2016 review published in Cannabis and Cannabinoid Research showed that CBD is effective in the treatment of migraine and irritable bowel syndrome, which are linked to fibromyalgia. Several studies discovered that CBD can fight inflammation, and even though fibromyalgia isn’t currently classified as an inflammatory condition, researchers suggests that at least some cases may involve inflammation of a body-wide web of connective tissue, called the fascia. Before purchasing a CBD product, make sure you do some research. Buy it within the country, where products are closely regulated and standardized, and make sure it has a certificate of analysis (COA), which lists the CBD and THC content. Moreover, you should know that “hemp oil” is lower in cannabidiol than “CBD oil” so it is not as effective. In a large bowl, whisk corn starch, baking soda, citric acid, and Epsom salt. In another bowl, mix the CBD oil, water, coconut oil, and essential oils and food coloring. Then, add this mixture to the first one. Mix well, and mold the mixture with the bath bomb mold. Leave them to dry for at least 24 hours. Then, add one to your warm, soothing bath, and enjoy!